The Embassy of the Republic of Lithuania in London, University College London (UCL), Southampton University and the Parkes Institute, with the support of The Institute for Polish-Jewish Studies, are delighted to present this year’s 7th annual Litvak Days in London conference, dedicated to celebrating and exploring the impact of Lithuanian Jews and their diaspora on the arts throughout the world. In modern times Jews have contributed markedly to the traditional fine arts of painting and sculpture music, photography, prose and poetry, theatre and architecture. 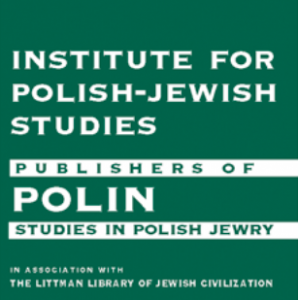 Lithuanian Jewry, in many respects, made extraordinary contributions to a plethora of diverse fields of creative endeavour. We will examine the vibrant manifestations of Lithuanian Jewish talent and imagination in the context of its complicated history and legacy. The exceptional musician Yasha Heifetz, the painter Chaim Soutine, the sculptor Jacques Lipschitz, the artist Judy Chicago, and the photographer Alter Kacyzne, to name but a few, emerged from the fertile field of Lithuanian art into world art. And we begin our celebration with a performance by the noted Klezmer singer and musician Michael Alpert. * Photograph: “A group of students of the Academy of Fine Arts in Vilna. 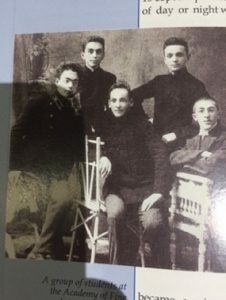 Far left is Michel Kikoine, wearing the student uniform” from “Biographical Encyclopaedia of the 20th Century Lithuanian Jewry Litvaks”, edited by Virgilijus Liauška and published by Musmirė, Vilnius, 2009, with their kind permission.